Whilst living in Gran Canaria I fell in love with churros. They were the perfect sweet treat to start the day with a good strong cortado. Churros are traditionally served with either coffee or hot chocolate and are dipped into the drink. I have fond memories of sitting in bars, seeing the churros batter piped into the oil and watching them cook, waiting in anticipation for them to be freshly served. So you can just imagine my excitement when I found out that they would be making them on Great British Bake Off. This is the first time that I have made this much loved treat of mine and I am sure that it will not be the last. 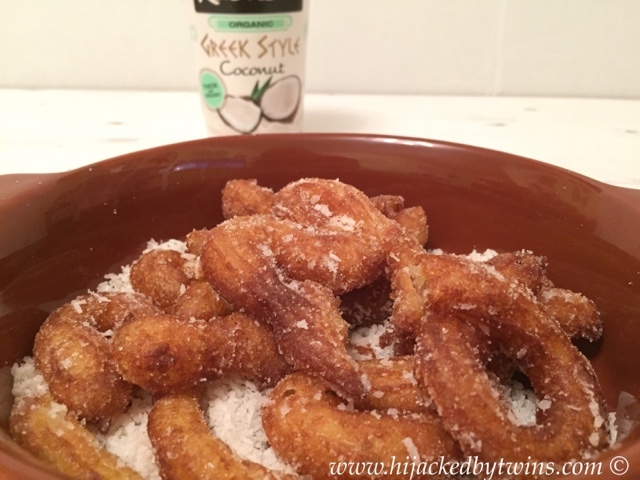 When Rachel's Organic asked me if I would like to try one of their recipes for GBBO batter week I was delighted to see that they had a churros recipe featured along with some waffles and pancakes. Needless to say the churros recipe won and is the recipe that I will be featuring today. I have added a twist of my own. 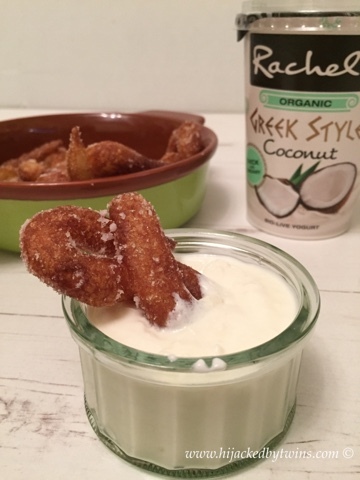 Instead of dipping the traditional way I have used Rachel's Organic Greek style coconut yogurt for dipping and have rolled my churros in desiccated coconut instead of cinnamon sugar. 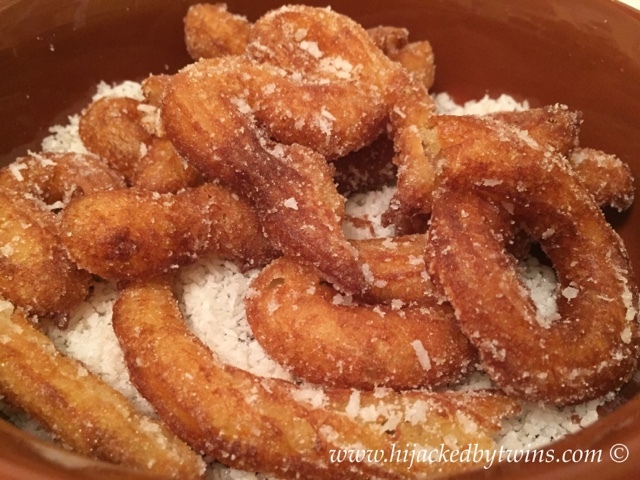 I did not realise that churros were going to be this easy to make and now they will be made more often. The hardest part is getting them straight, but I guess that will come with practise. What a great excuse to make some more! They went down a treat with everyone and the coconut certainly gave them that added bit of flavour. 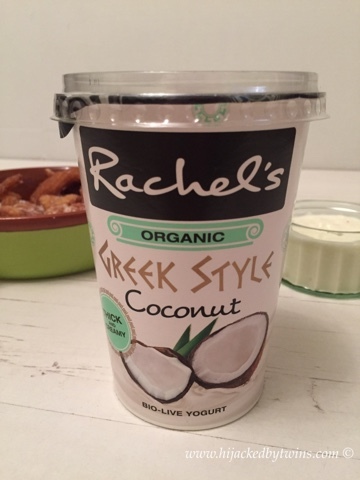 You can find more recipes from Rachel's Organic here.